R.O. Anderson staff offer a combined total of 60 years of experience with water rights. Our breadth of experience allows us to wholly address all types of water right issues with an uncommon level of expertise. Whether vast undeveloped parcels or small subdivisions, historic water usage or new appropriations, public client or private, R.O. Anderson can address all aspects of the water right process. 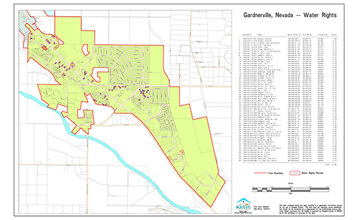 Vidler Water Company needed to obtain water rights in order to serve municipal clients across the State of Nevada. 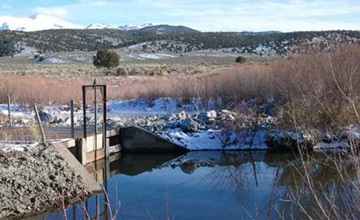 The company sought to do this by purchasing surface water rights from numerous large landholders within the Carson Valley. We documented the chain of title for the relevant Carson River surface right and filed necessary Reports of Conveyance with NDWR. During this effort, it was necessary to reconcile the historic adjudicated owners with current assessed owners that, in many cases, involved a chain of title including over 15 owners, drafting correction deeds, and writing letters to the State Engineer to correct deficiencies with the owner of record listed in the Decree. Through this entire effort, it was necessary for us to work collaboratively with both NDWR and the Douglas County Assessor and Recorder’s office. Vidler Water Company was able to successfully and smoothly purchase surface water rights and continue serving its municipal water right needs.